The most neglected room in my home? The one that's been last on the list for any upgrades or improvements? Sad to say, it's our master bedroom. It gloriously large, but that is where the highlights end. I'd love to remodel the master bath. Most importantly, having moved in from a much smaller master, we need to dress it! Why is this room, the one that should be my husband and my oasis, the most neglected - Mom martyrdom strikes again. With homage to that all important holiday just around the bend, Mother's Day, the next stop on the Scavenger Hunt is seek out a new king bed! I love the clean look of Modern Beds and think the selection of the perfect bed, always the focal point of any bedroom, is the best place to start when shopping for bedroom furniture and determining the style path for your room. I've been wanting a Platform Bed Set for some time now and MorePlatformBeds.com has a full selection! Each of the pieces is constructed of hard woods and the dressers have unique chambered drawer fronts and brushed nickel hardware. With free threshold shipping and on sale 30% off, the Phoenix set has really caught my eye! What is it about Contemporary Bed Frames that I find so appealing? The minimalism, crispness and clean lines have the ability to lend such a spa like atmosphere. 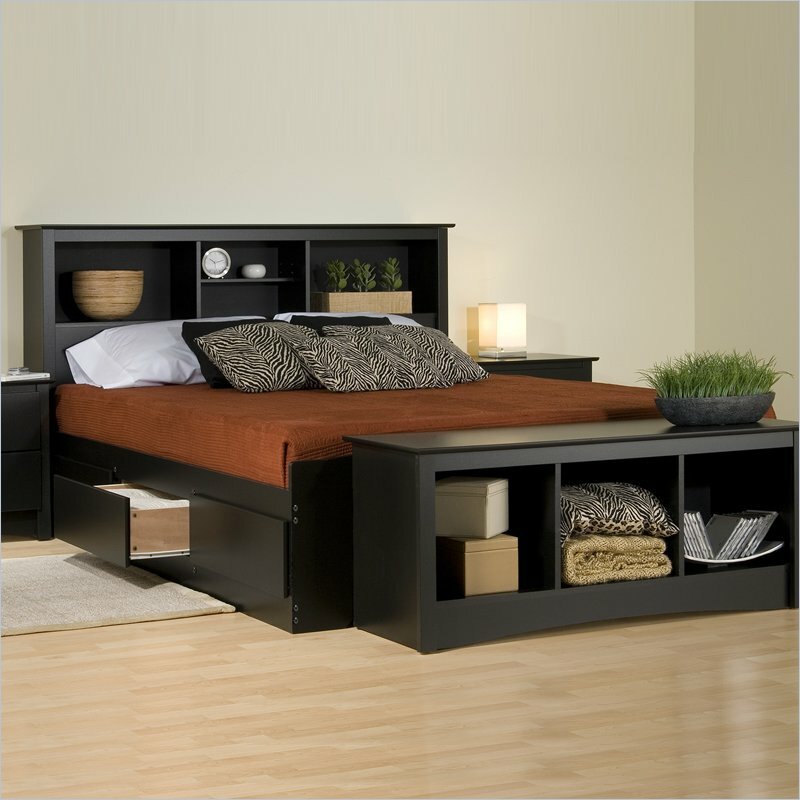 I also have my eye on this set: the Sonoma Platform King Storage Bed in Black. The set includes the Platform Storage Bed with six deep under the bed drawers, at 36% off! Better yet, right on this bed's page, I can select matching pieces, such as two drawer nightstands, six drawer double dresser, six drawer lingerie chest and armoire. I can even add a Simmons Beauty Sleep mattress and choose from pillow top, plush or firm. Stylish, yet affordable, with all the addition selections, I could get the entire group, including mattress, shipped free, for about $1800! Tell me about your master bedroom. Does it desperately need attention or have you recently re-decorated it? Please also leave a comment below, letting me know which is your favorite platform bed from Cymax! Thank you to Cymax for sponsoring this introduction. The opinions above are both honest and my own. The Scavenger Hunt Giveaway is sponsored by CymaxStores.com and That's What She Said. Paint image. They have some gorgeous beds! My favorite is Coaster Phoenix Bookcase Storage Bed in Rich Cappuccino Finish in queen size. My room isn't in desperate situation, but could use some help. I like the Lifestyle Solutions Dominique Wood Platform Bed. I like Modus Nevis Riva Modern Low Profile Wood Platform Bed in Espresso, I could save $360. My bedroom is not a total disaster but could use some updating. I've never had the master bedroom in any house. I currently share a house now, but it for sure needs to be redecorated...or just plain decorated. Our bedroom is the last room in the house to be remodeled/painted/decorated... at the moment, it's a huge mess! Oh man, out bedroom is in SERIOUS need of a remodel. I keep begging the hubby to buy a bedroom set but money is tight right now. Hopefully when we move into a new home :) I really love the Magnussen Urban Safari Low Profile Platform Bed With Pier Nightstands in Warm Cognac and I could save $427.32 (19%)! Oh, my gosh, does our Master Bedroom need a redo. that our child put on the wall - that child is grown, now. I am not physically able to paint the room or reposition furniture. Thankfully, last year the horrible window covering came down when we found a used window blind at a garage sale. Seriously, the bedroom needs reviving.